At Signal, Oct. 31 isn’t just a holiday. It’s a celebration of epic proportions. 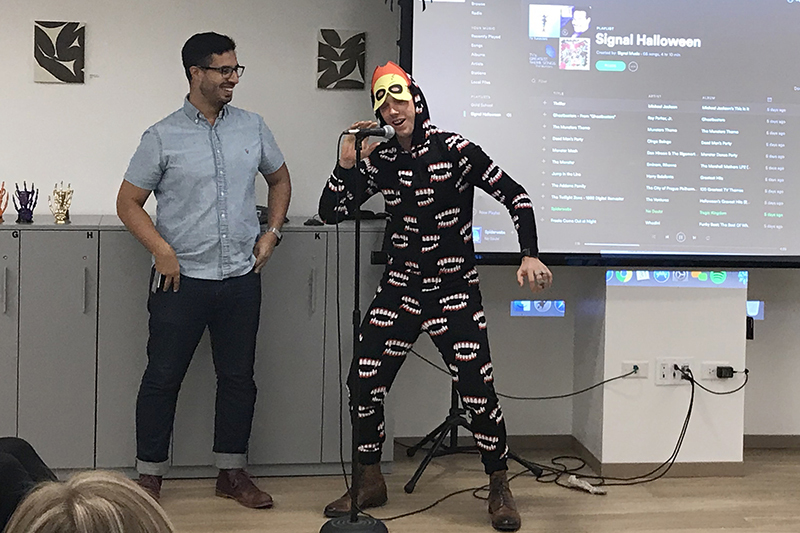 This year, Signalites from across the organization got together during a noontime Bewitching Hour to eat pizza, drink “boos” and be scary. 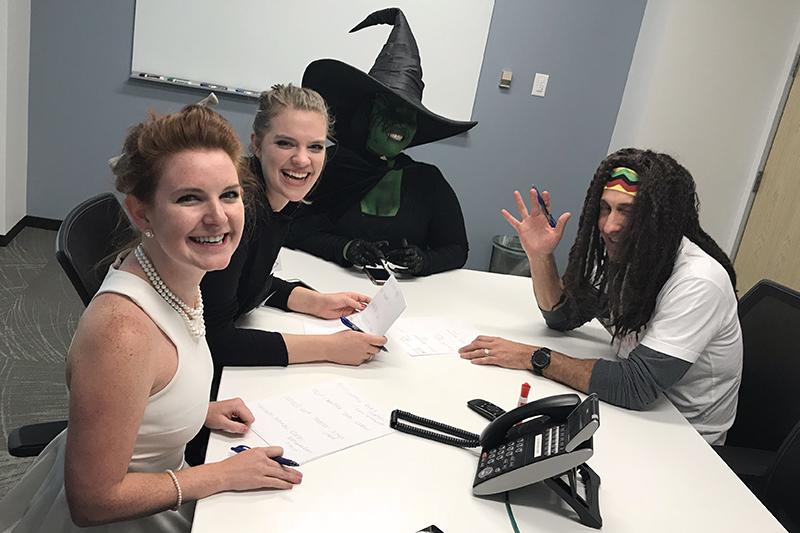 A panel of judges awarded prizes for the most spooktacular costumes. Check out some of the best below! The wicked awesome judging panel. 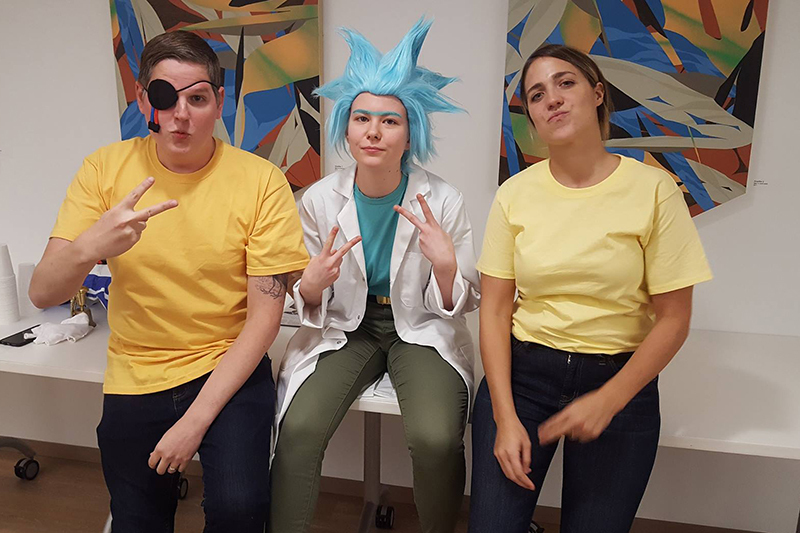 Most Creative: Art Lawry, Kora Kopieniak and Sarah Neurauter as Rick & Morty(s). Honorable Mention: Cole Nelson as your worst nightmare. 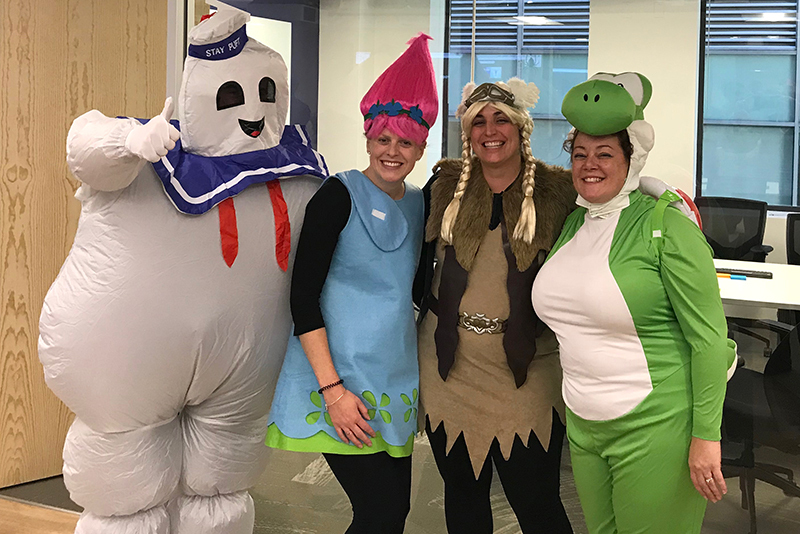 Best Overall: Kevin Grace as the Stay Puft Marshmallow Man.